NOTE: Photographs on the site may not be current or updated. They are only indicative. 1. What is the name and form of the company? Get Grocery GmBH, it is a limited liability company. 2. Where is the company located? The company is located in Bruchsal , Germany. 3. Is it a German company? 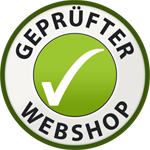 Yes, Get Grocery GmBH is officially registered under German Law, in the Mannheim Registration office (Amtsgericht). Check imprint for the registration number. 4. Is it possible to contact the company for information, orders or complaints? 5. Are the prices on the website end prices or will there be additional taxes? All our prices are inclusive of VAT. The amount displayed at the time of payment is the end price. Shipment costs will be extra. On most food items, the tax is at 7%. Drinks and personal care products are charged 19%. Is my personal information safe ? Yes. At Get Grocery, all customer data is kept secure and confidential as assured by the Germany's largest hosting company “Strato AG”. The customer's credit card details are not visible to us. All the credit card transactions are handled by a secure gateway company, Moneybookers. Neither are passwords and other private information. Moneybookers offers a secure channel for online payment transactions. You can pay directly without revealing your card details. The cards accepted by Get Grocery are Visa, Master Card, American Express and Diner's CLUB. PayPal is a safe and fast method of online payment. You can create an account with them and register your bank account, credit card or debit card for easy payments. Your details are safeguarded by PayPal so that you don’t have to share them online. A bank transfer can take up to 2-3 days to be completed. We normally dispatch an order only after we receive the payment. So to ensure the earliest dispatch of your order, you can send us a copy of the confirmation of payment. sofortüberweisung or sofortbanking is the direct payment method of Payment Network AG. It allows you to directly and automatically trigger a credit transfer during online purchases with your online banking information. sofortbanking has TÜV certified data privacy and requires secure online banking authentication (PIN / TAN). For just 4.50€ extra you can pay the delivery person the final amount (including order and shipment) on the spot. This option works in combination with Hermes only. It is a hassle-free, simple option so that you no longer have to look for local cards and accounts to shop with us online! 1. Who will deliver my order? We use the services of Hermes & DHL to deliver customer orders. 2. What is the cost of shipment? There is a standard charge of €4 (Hermes) and 4.75€ (DHL) for delivery anywhere within Germany. This is independent of the weight and value of the order. 3. Where can you deliver the products? Anywhere within Germany. And on special request, to some other EU countries as well. Please check 'shipment' section for more information. 4. When can I expect to receive my package after order placement? We dispatch the order the day after receipt of payment or a confirmation of payment. Or through the next possible shipment. Hermes then takes 4 working days to deliver and DHL takes 2. 5. Is it possible to arrange a time and date for delivery? No, this is not possible. But Hermes makes 3 attempts to deliver, if the customer is unavailable. After that, they send you a letter asking you to call customer care. DHL drops of the box at the nearest pack station if the customer is unavailable the first time. It is also possible to leave a note for Hermes/DHL asking them to leave the package with a neighbour. 6. What should I do if I don't receive my package? You can call us to check the status of your order. You also get a tracking number from Hermes/DHL that will give you the status of your package. 7. Is it possible to track my order during delivery? Yes. Hermes/DHL send you an email with your tracking number. You can then track the package on their websites. You can also call the Hermes customer hotline number - 01806 333325. Please keep your tracking number handy if you need to give them a call. If an order weighs more than 30kgs, it is sent in 2 or more boxes by us. The boxes are dispatched at the same time, but it is possible that Hermes/DHL deliver each on different days. We don't charge customers multiple times. 9. What is the pick-up option? It is a service that we offer only in Bruchsal. An arrangement can be made (via phone or email) with the customer, allowing him to pick up his packages from our warehouse in Bruchsal for free. 1. Registering and creating an account – The first-time user of our services is required to register on our website, creating a username and password. Your account gets activated only after you confirm by clicking a link sent by the system. 2. Shopping Basket – Here you can add items to your shopping basket and edit quantities and items if required. The next step is confirmation of mode of payment and delivery. There is a ‘ Comments' box available if you would like to leave us a note. 3. Address – You then need to confirm the billing address and proceed to payment. You can select a delivery method. 4. Payment - You can select one of the 4 payment methods, namely: Bank Transfer, PayPal, Credit Card, and Direct eBanking (sofortüberweisung). 5. Order – Once payment type has been selected and payment made, you just need to confirm and order. You will receive a confirmation email from us, letting you know that we have received your order. Mozilla Firefox is the recommended browser for our website. 1. If several products are missing, it is possible that your order was packed in 2 or more boxes and you have not yet received all of them. Hermes/DHL will deliver the other one separately on the same day or the next day. You can call or write to us and check. 2. If only one or two items are missing, then please contact us and we will try to offer you the best solution. We believe in customer satisfaction and try to find the best solution, giving personal attention to every case. 1. How do you compensate when a product is damaged? When the external box is intact and an inside item is spoiled or damaged, then we will replace the product (free of charge) or return the cost of the product. 2. What do I do if the external package is damaged? You can call Hermes/DHL and lodge a complaint. Also, please do inform us. 3. How do I return an article? The cost of shipment for a returned article will be borne by the customer. You can send us the article and we will return the money for the product after we receive your package. 4. How do I go about returning or exchanging a product? You have to inform Get Grocery within 7 days of receiving delivery and then return the article within the next 2 weeks. The customer bears the cost of shipment in case of returned articles. In case of exchange of damaged products, we replace the articles without any additional shipment charges. 5. You can email us at info@get-grocery.com or call us at 0176 1030 1536 for any other clarifications or complaints.